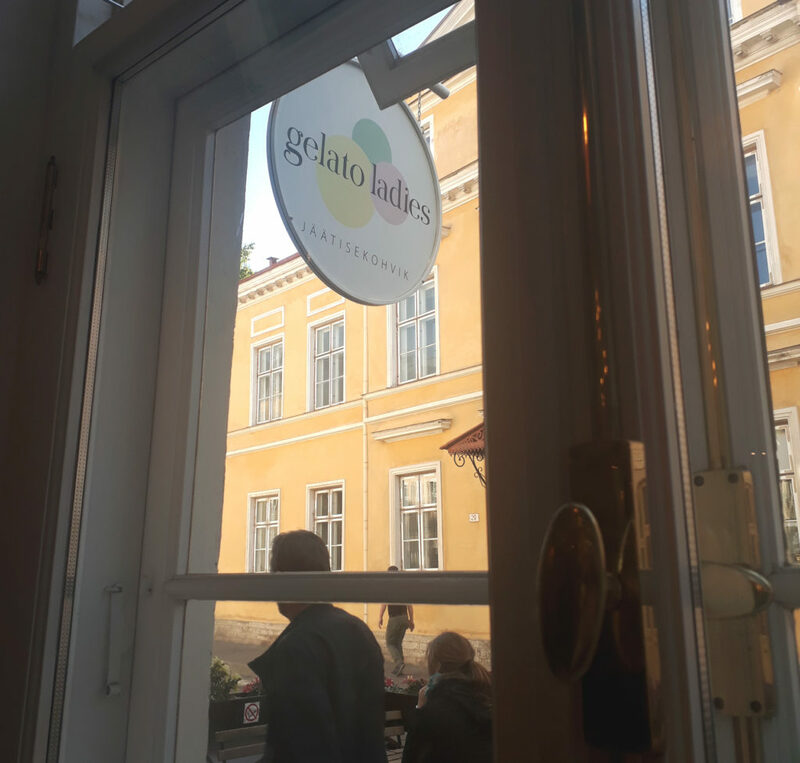 Review: It’s been exceptionally warm in Tallinn for the past two weeks so we decided to change it up a little and hit up a gelateria instead of your standard coffee shop. 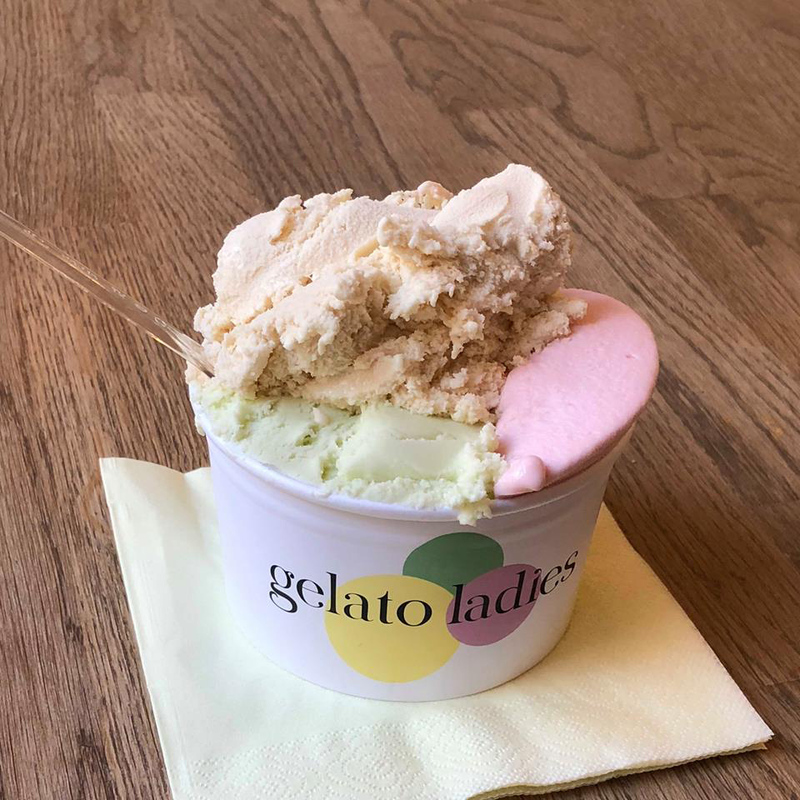 Gelato Ladies’s is located on the edge of Old Town. It’s pretty easily accessible by the 1 or 2 tram line or any bus that stop at Linnahall but you can easily walk there from the Viru stop as well. Gelato Ladies is actually pretty popular and I’m surprised I haven’t been before. 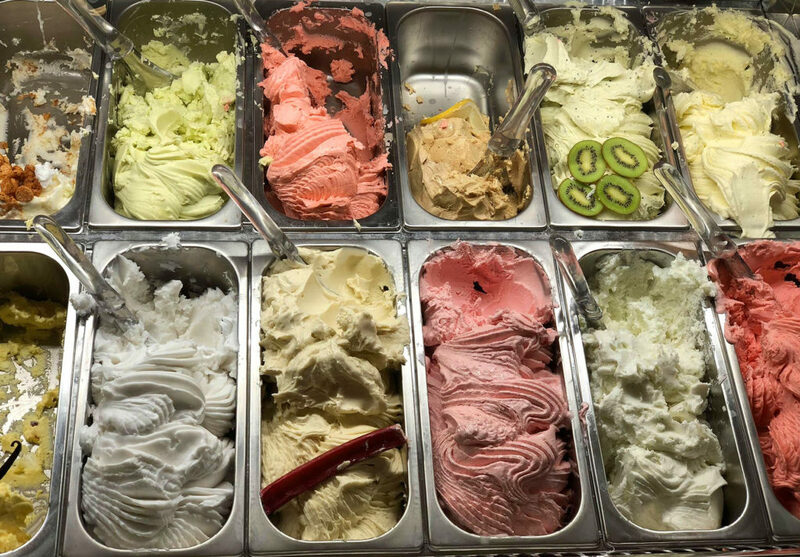 In addition to about 18 flavors of gelato they also offer shakes, coffee drinks, and the occasional alcoholic drink as well. It is worth it to note that they serve gelato in cup or cones but no other food products are available in store. 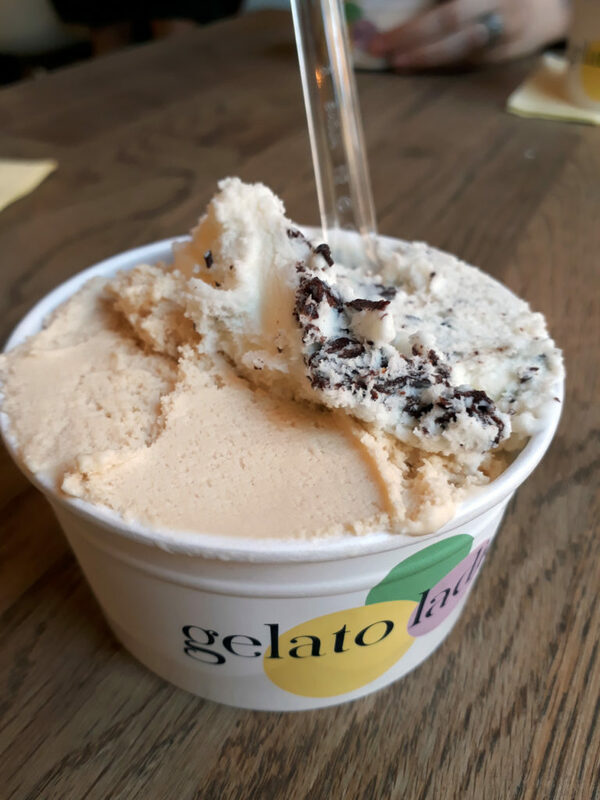 All of the gelatos are made on site as well as the cones so everything is very fresh. The ladies at the counter were extremely personable and friendly and tasting before buying was very encouraged (she looked a little offended when I only tasted one flavor and then ordered a different flavor to be honest). 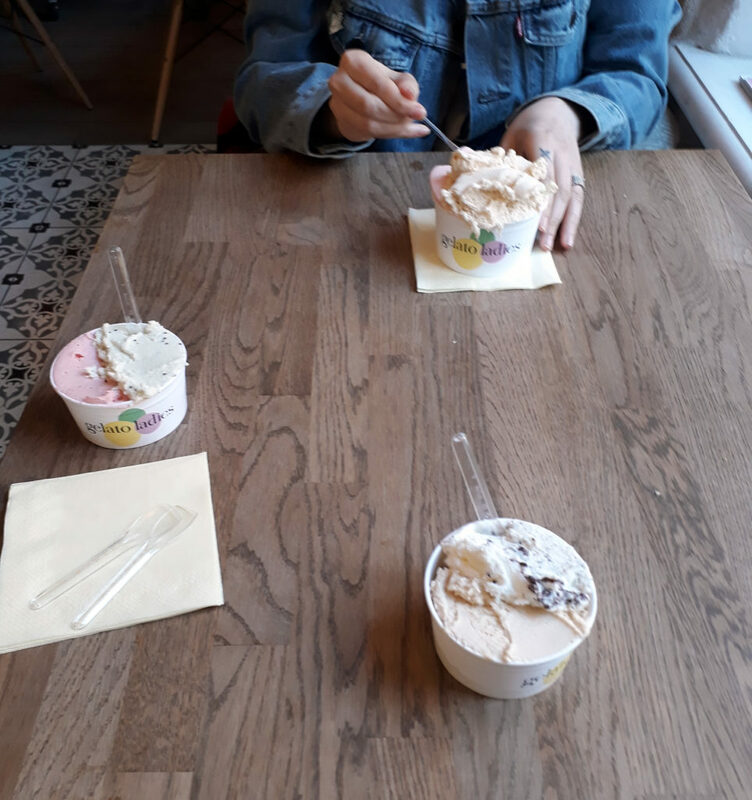 The cost is a bit high for gelato but they pack the cups full to the top and if you skim a few free samples you might feel more like you’re getting something extra for your money. The space inside the cafe is really homey, it’s lined with tiles that reminded me of Portugal. Every table has a set of comfortable chairs with soft fabric seats in deep reds and blue. There’s a single table with a large couch and soda fountain-like counter seating, albeit facing away from the actual counter. They also have an outside patio that is set up in the summer with extra seating but it is in the shade most of the day so it can get a little chilly. As for the gelato itself, it’s cool and creamy and not at all icey. The flavors are all intense and bright. Flavors ranged from your standard chocolate and pistachio all the way through a salted peanut flavor as well as an elder flower and mint flavor. The few that I tried were all really delicious and you could easily tell the flavor of them after a single bite which is great but the flavors felt slightly artificial because of this and honestly, a little overwhelming. 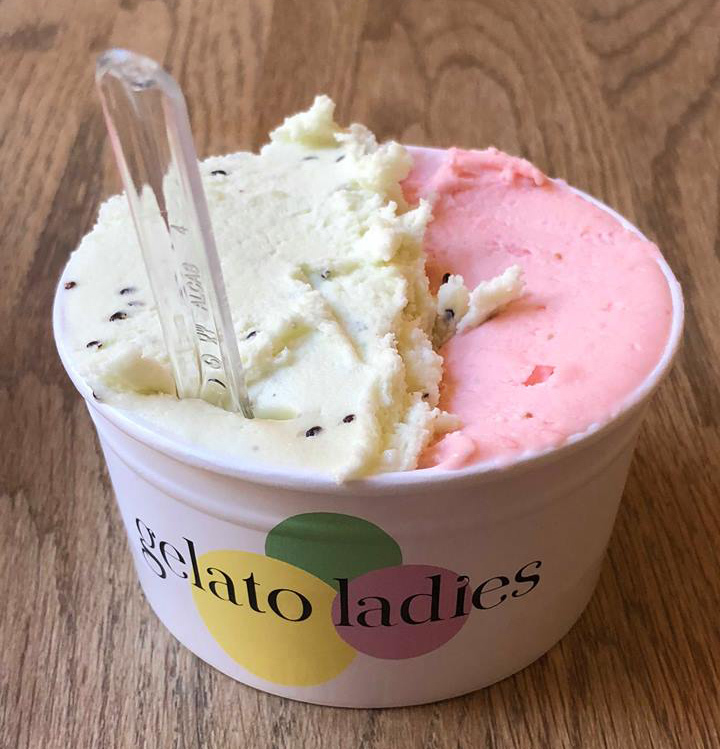 Many of the flavors started out intense but halfway through eating would lose their flavor completely due to over saturation – a problem I’ve never experienced when eating gelato previously. There is one downside to Gelato Ladies though and that is that it is BUSY. Even though we were there at an off-hour during a slightly less warm than normal day, probably 30 or 40 people came in per hour while we were there. They ranged in everything from tourists to locals to school children and even a Wolt driver who was picking up a delivery (yes, you can get delivery gelato if you don’t want to come in and pick up a kilo yourself). We had no problem finding seating as most people grab and go with their food but if you were looking for a hidden gem or a quiet retreat, look elsewhere. This is a well known, well loved, highly traffic’d shop.